What will my drugs cost with Medicare? 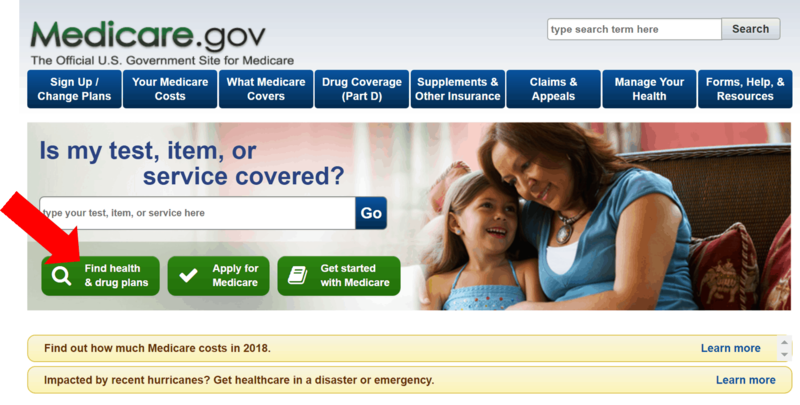 This is the home page of Medicare.gov. 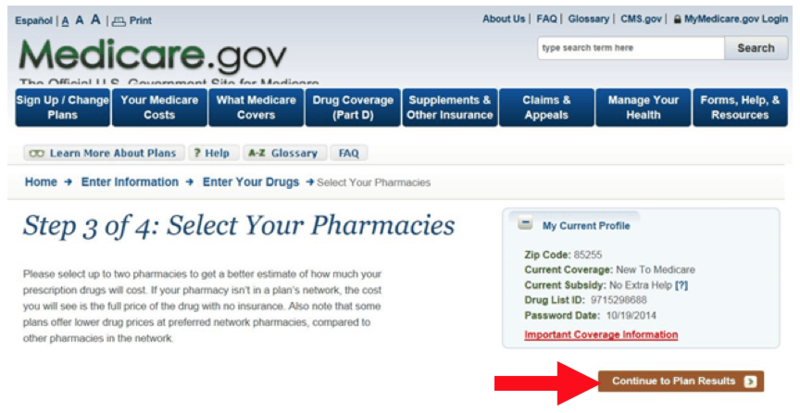 From here you need to hover your mouse over the “Drug Coverage” (Part D) tab. 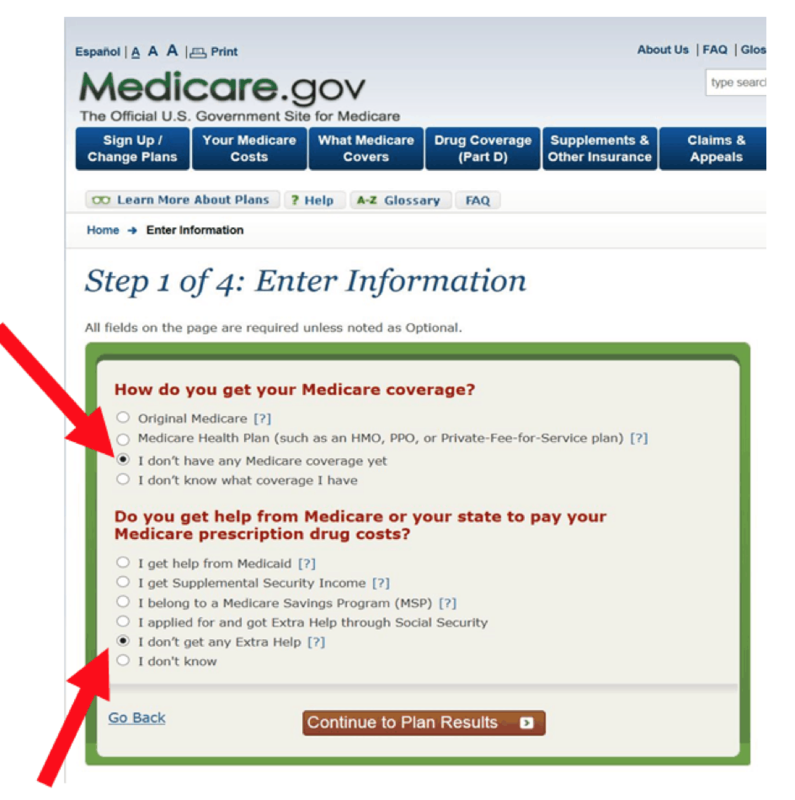 A drop down menu will appear; from this menu you need to click “Find health and drug plans” (Health Plans are the same thing as Medicare Advantage Plans). 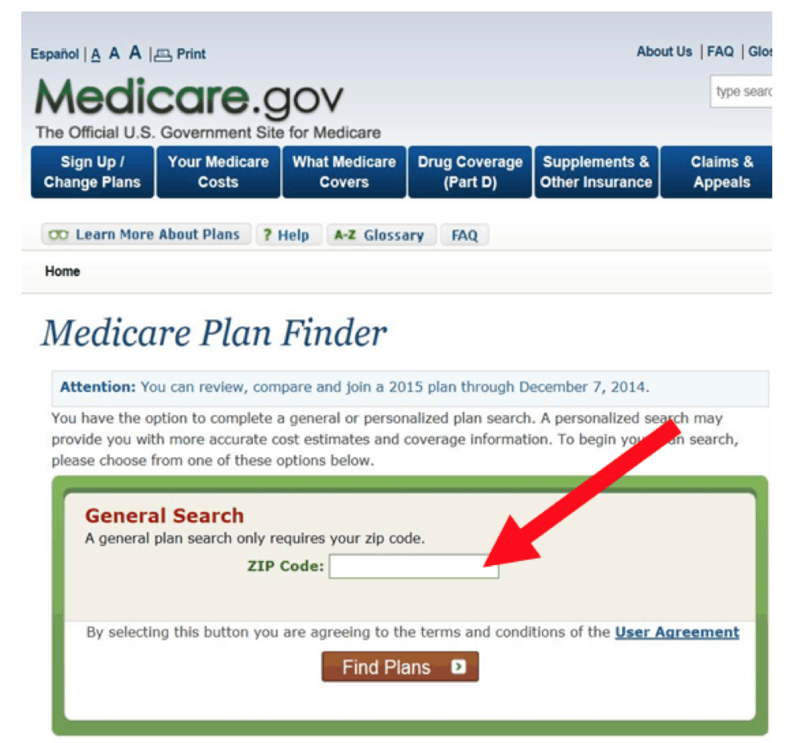 Type in your zip code in the highlighted box to find the plans available in your area. I am going to select the choices “I don’t have any Medicare coverage yet” and “I don’t get any extra help.” This is just an example. If your case is different, feel free to select the options that are particular to your case. The following steps will be identical. This screen serves to narrow or expand the field of options available to you. This is where the plan selection worksheet will come in handy. 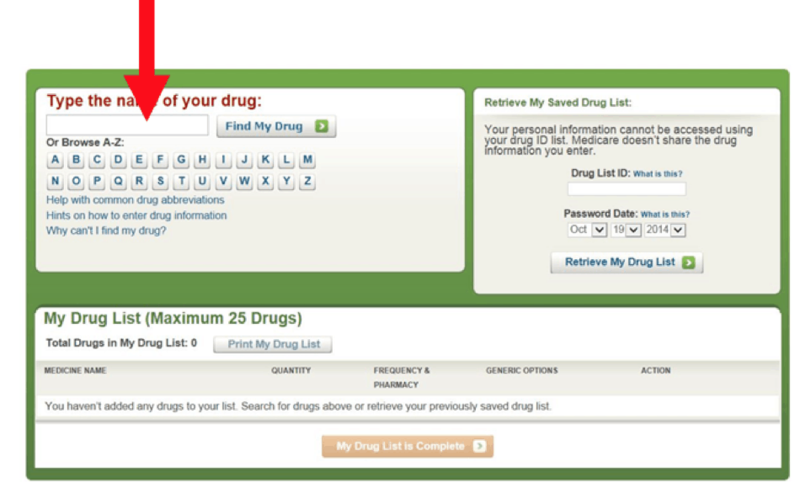 You can type in the box above up to 25 different prescription drugs that you are taking. The next screen brings up your options. 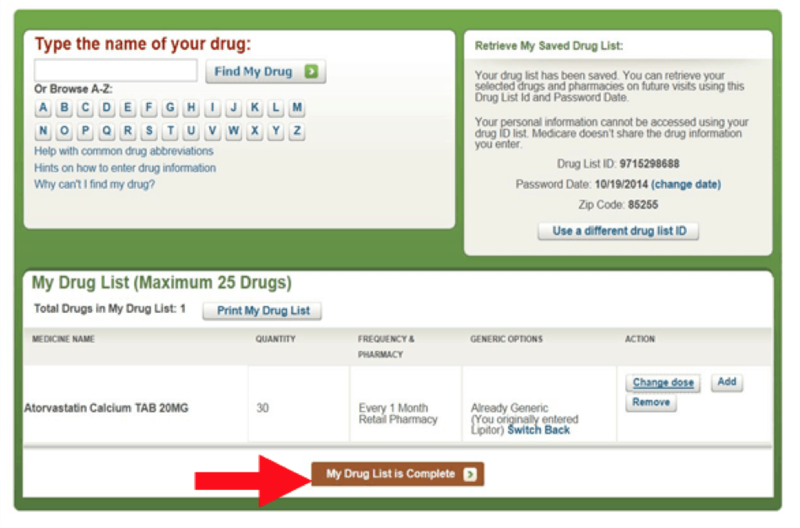 It will show you exactly what you would be paying, with and even without the particular prescription drug plan. I am going to use Lipitor® as an example. I am simply going to click “Add drug and dosage” to continue. This screen presents you with another set of options. 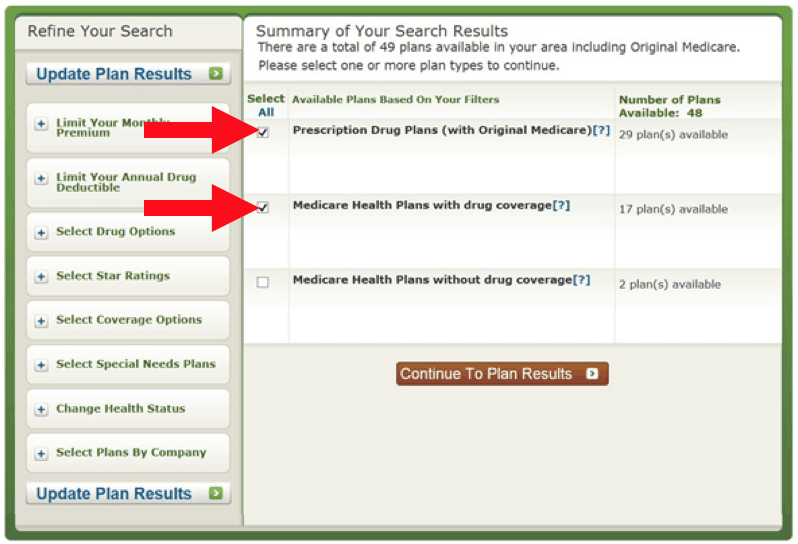 You can choose to only see Part D prescription drug plans, or you can see Medicare Advantage (Medical Health Plans), or all of the above at the same time. I am going to select the first two options, to see my options with Medicare Part D, and Medicare Advantage prescription plans. 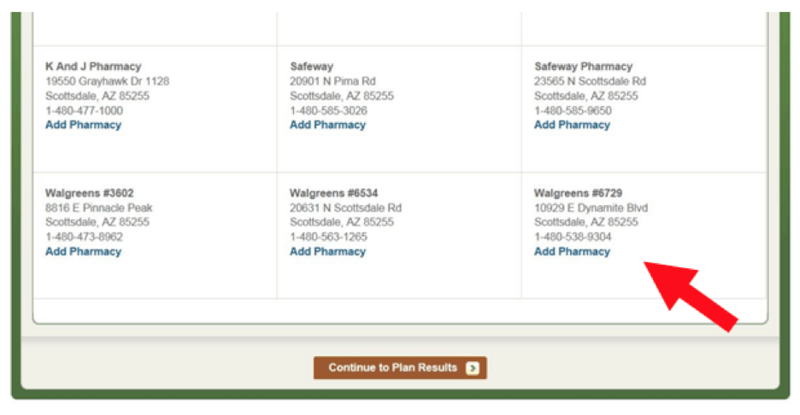 The first table will show you the cost of your prescriptions with just Medicare Parts A and B (Original Medicare). 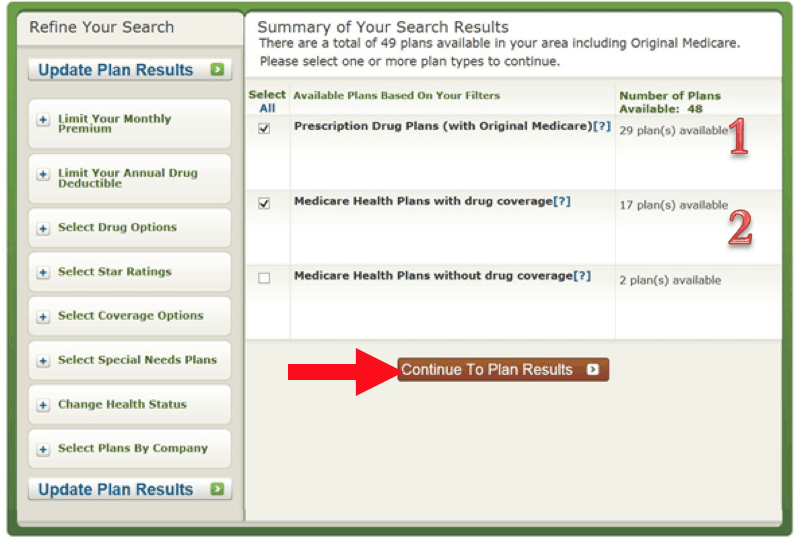 If we scroll down, we will begin to see our options with Part D prescription drug plans. We know this because of the PDP in the name of the plan. Make sure you look at the costs carefully, if you take a prescription. It may be worth paying a dollar or two more a month to eliminate a deductible or co-pay. If we keep scrolling down we will find the section titled “Medicare Health Plans with Drug Coverage” this is where we will find the Medicare Advantage drug coverage plans. The menus are the same, but you will notice in the names of the plans there is an (HMO) versus the (PDP) with the Part D plans. This screen will appear telling you more specifics of the plan you selected. 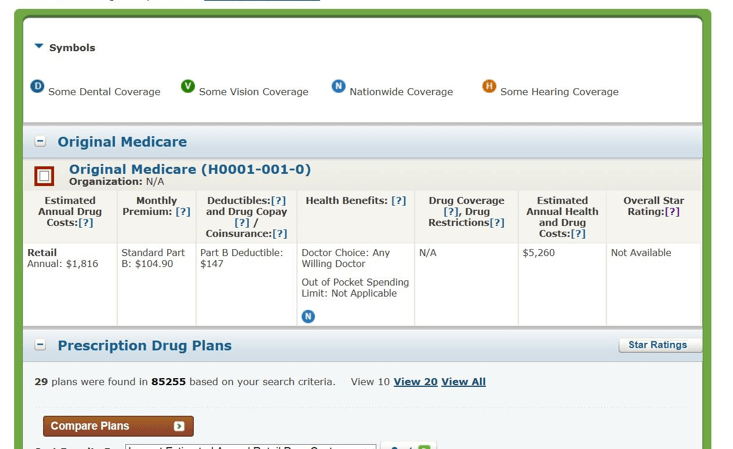 The green tabs allow you to see a variety of different tables of information, from costs to customer reviews. Feel free to repeat steps 8-14 to explore the possibilities when it comes to your prescription drug plan.